Most of us will at some point in our lives have been labelled, tried some reinvention exercises to get rid of said labels, labelled others, and undoubtedly have been told not to as it was a “nasty trait of a small minded person”. Nope? Just me who got that speech then? 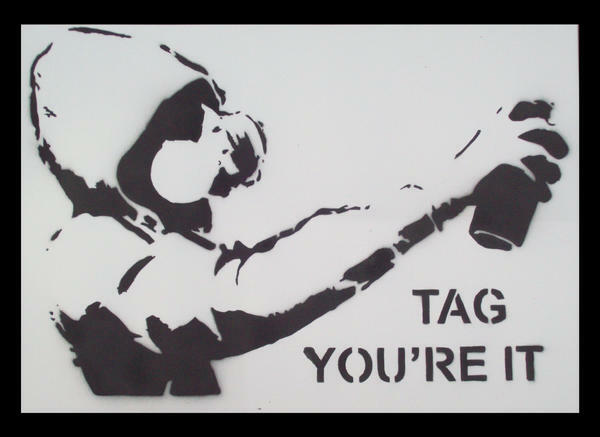 So guess what, tag – you’re it. I said last week that I would focus on how to make your content valuable to search engines and the first thing that I want to talk about is “the tag”. Some of you will probably have heard the terms below before but perhaps not have been too sure where they fitted in the whole search engine ranking process thingy. Here’s how. When you are met with search results there is usually a brief snippet of the content the page offers that is relevant to your search terms, this is known as a Meta Description and helps the user determine whether they want to visit the site or not. So therefore, people are generally making the decision to click onto your site based on these few words hence it is important to give them some thought. This Meta Description is also the default link that will show on social media when you share a post. Search engines have a problem with pictures. They can’t see them. So in order for the search engine to know what the picture is and therefore take this into account when looking for the most relevant content to the search, you have to label the image with an Alt tag and give it a name. The search engine will then know to display this image to people searching for images with the same or similar names, and attribute the key words to your web page. The Title tag is generally what is shown as the title in the search results and in the user’s browser, the search engine uses the content in this title tag to ascertain what the most relevant content to the search term is. Moving on to headlines and the connection between these and the wording you have chosen for your tags. When someone commits to using a search engine for a query they are effectively starting a journey. The content that you provided in your tags should show them that they are on the right path to finding their answer and by clicking on your page they will find what they are looking for. Here is where you have to support the tag info with your headline word choice. Clarity and conciseness are appreciated by both searchers and search engines as the key words are just that, the key to letting visitors know quickly that you have what they want, and the key to let search engines know that your content is worth displaying as a search result option. So with that link established I will move onto actual links. Inbound links to your site from non associated external sites (i.e not your Facebook page or LinkedIn account), and reciprocal inbound and outbound links, to and from your to site, to respected and trustworthy sources. There are few things greater for your SEO than having credible websites link to your website because of something you have posted or how valuable your content is. A good way of getting links is to get guest bloggers… (You’ll have to get past me first). But this, like most other aspects of content, is again about quality over quantity, just like the actual text on your website. Taking me on to my last point – the copy on your website. Whilst it is nice to curl up with a good book, this is not why most of us visit the web. And screeds of block text is not really what search engines are looking for either. To make your content both manageable to read and easy to digest for the humans and the robots out there it should be written in short, concise sentences and paragraphs with keywords being added where a reader would expect them to be and not every fourth word. If you find that you do have quite a lot to say on a particular subject or web page then try breaking it up with introductory headlines and images. By the way, if at any point whilst reading the Début Marketing Blog you have a question feel free to drop us a line and we will be more than happy to get back to you. So with that said and done, next week I will look at how you can give your customers a personal and memorable experience that was usually the trademark of the high street shops.